Wear metals and additive Elements Analysis. back to About HORIBA Technical Journal "Readout"
Readout No. E14 - Masao HORIBA Awards"Measurement of Bioparticles" and "Measurement of Internal Combustion"
Readout No. E12 - Masao Horiba Awards "X-ray Analysis Technology"
Corporate Culture "Joy and Fun"
During measurement, keep the temperature of the supernatant solution constant. 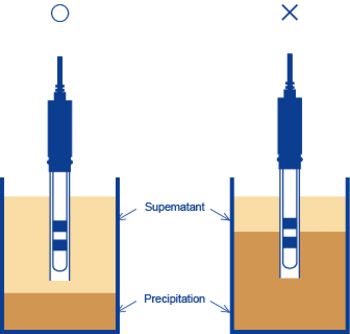 Never submerge the conductivity cell in the soil sediment. Add 100 mL of pure water to 20 g of air-dried fine soil, and shake for 30 minutes. After shaking, measure the conductivity of the supernatant solution and obtain the corresponding value at 25°C by temperature-conversion of the result.